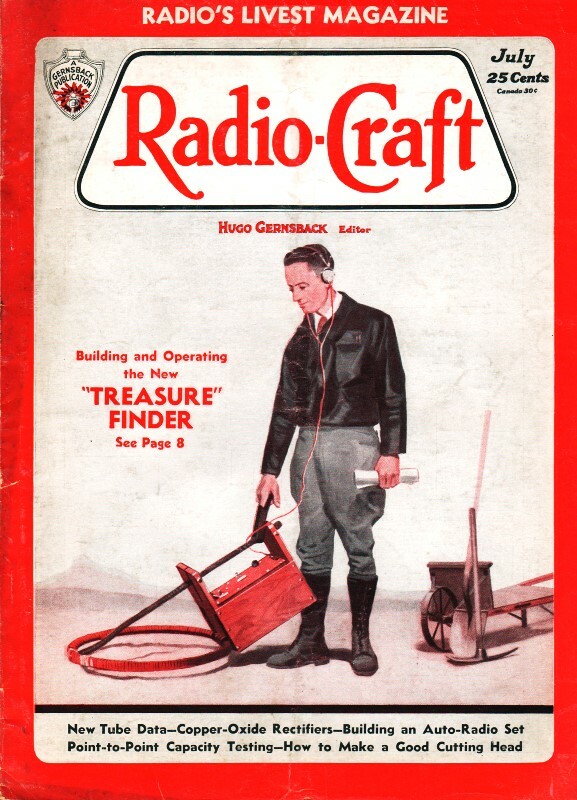 Here is Pilot Model B-2 Radio Service Data Sheet as featured in a 1933 edition of Radio-Craft magazine. As mentioned many times in the past, I post these online for the benefit of hobbyists looking for information to assist in repairing or restoring vintage communication equipment. 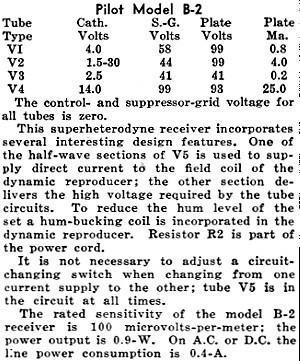 The control- and suppressor-grid voltage for all tubes is zero. This superheterodyne receiver incorporates several interesting design features. One of the half-wave sections of V5 is used to supply direct current to the field coil of the dynamic reproducer; the other section delivers the high voltage required by the tube circuits. To reduce the hum level of the set a hum-bucking coil is incorporated in the dynamic reproducer. Resistor R2 is part of the power cord. It is not necessary to adjust a circuit-changing switch when changing from one current supply to the other; tube V5 is in the circuit at all times. The rated sensitivity of the model B-2 receiver is 100 microvolts-per-meter; the power output is 0.9-W. On A.C. or D.C. the line power consumption is 0.4-A.